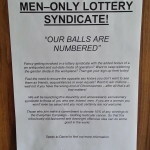 Lottery Syndicates or Money-Sucking Nightmare? 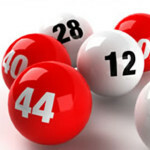 Lottery Syndicates – A Better Chance to Win or a Grave Mistake to Make? 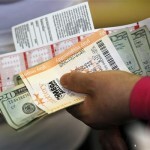 For an average lottery player, buying lottery tickets in large quantities is like a dream come true. But if they could afford to buy 100 tickets at a time, what would their chances be at winning the jackpot? Maybe some can afford to buy $400 worth tickets at a time, but those who can’t have the option to join lottery syndicate programs. Lottery syndicates are a group of lottery players who pool money together to increase their chances of winning the jackpot without having to empty their pockets. For example, if 10 lottery players come together and purchase 10 tickets each, the group gets 100 tickets – better than a couple lottery tickets worth $4 right? In a lottery syndicate program as long as the rules are clear and the regulations are simple to understand, hardly anything can go wrong, i.e., everyone can benefit from such a lottery group. But since every cloud has a silver lining, and not every day is a Friday, things hardly work out the way we expect them to work. Here’s why lottery syndicates can sometimes turn into a money-sucking nightmare. Creating a lottery syndicate isn’t only about gathering a group of people happily ready to try their luck by purchasing a handful of lottery tickets. It’s about drafting agreements too. It’s about letting people know where they stand if they hit the jackpot. One such incident comes to mind where a group of 16 government civil servants, all working for the Driver and Vehicle Licensing Agency, came together to create a syndicate without having any written agreements in place. When they won £1 million they immediately locked in a dispute over the cash. They claimed that three members had not paid into the syndicate. What happened next reminded us quite of the BBC drama The Syndicate! Did they get paid or did they just get the opportunity to see other members win? It’s a mysterious situation that has senior office members involved in mediation! Okay a beauty salon? Really? Aren’t they making enough by making ladies look pretty? A group of beauty therapists from Lawrence Beauty Salon came together to form a syndicate with the aim of hitting bull’s-eye. They did too, and I’ll come to that in a bit. The syndicate group quickly shattered and divided as they accused one of their own trying to rob them of their fortune worth a mind-numbing $9 million. The matter was sent to court and Marion Superior Court Judge, Heather Welch was appointed to find a solution. Apparently Christina “Christy” Shaw – a member of the syndicate – claimed the entire winnings for herself! Christy reported that the winning ticket that was purchased on the 16th of February 2013 wasn’t purchased from the group’s money. Well, was there a written agreement that prohibited members to buy tickets outside the syndicate? Nope. United We Stand… So Long As Money Isn’t Involved! A group of close friends, who worked together at a Liverpool recruitment company, decided to form a syndicate to be able to live the rest of their lives happily if they win the jackpot. Louisa Whitby, 31, who had been part of the syndicate for two years, was unfortunately sick the day her weekly payment was meant to be paid. She, however, vowed to pay her share on her return to work. She was pregnant with her first child. Luckily for them (but unlucky for her), the syndicate scooped the midweek lottery jackpot for a solid £28,847,237. Since Louisa couldn’t pay her weekly contribution of £2, her friends-turned-foe refused to pay out her share and they took home approximately £2.8 million each. Being a member for two years, Louisa was forced to seek legal help to resolve the issue. It’s amazing how money can change people… Louisa pointed out that her friends’ selfish actions have destroyed their friendship and she doesn’t wish to speak to them. Money is a double edged sword – apart from happiness, it can break all hell loose without so much of a warning. 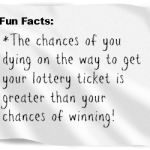 Fun Lottery Facts That Will Drop Your Jaw! #4 Is Just Insane!